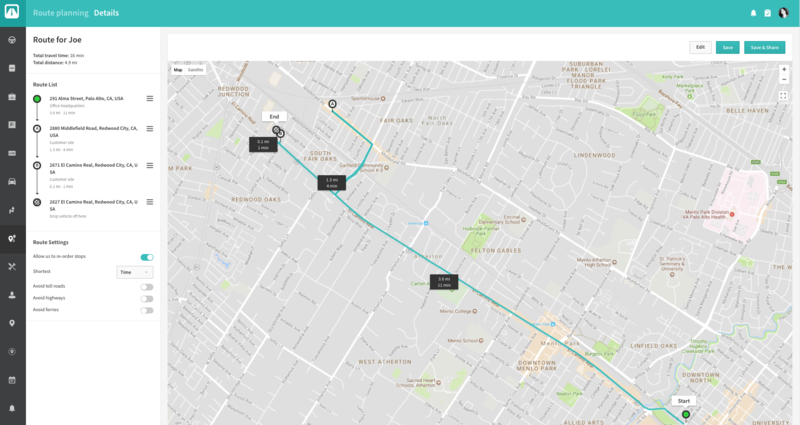 How does Automile's Route Planning work? Automile’s Route Planning enables you to create efficient routes for your technicians and drivers. This results in saved labor time, lower fuel costs, less wear and tear on your company vehicles and higher client satisfaction. This feature is available as a part of the Enterprise plan. 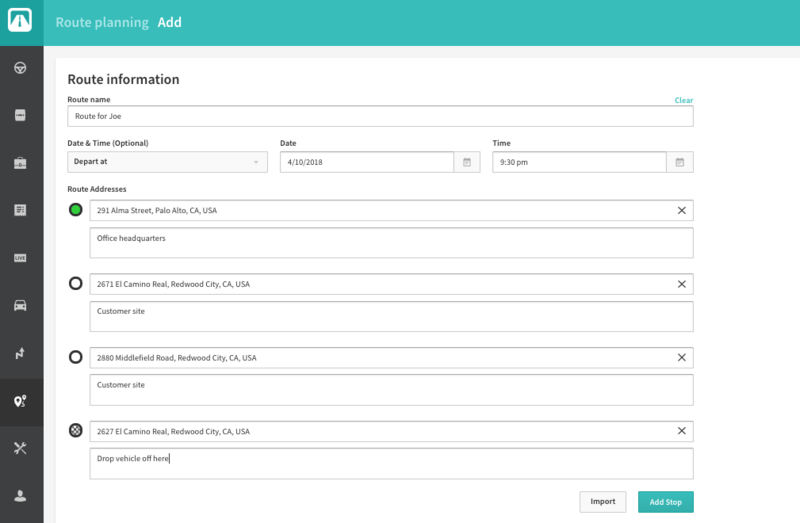 Simply import route addresses or enter it for a driver and route it. 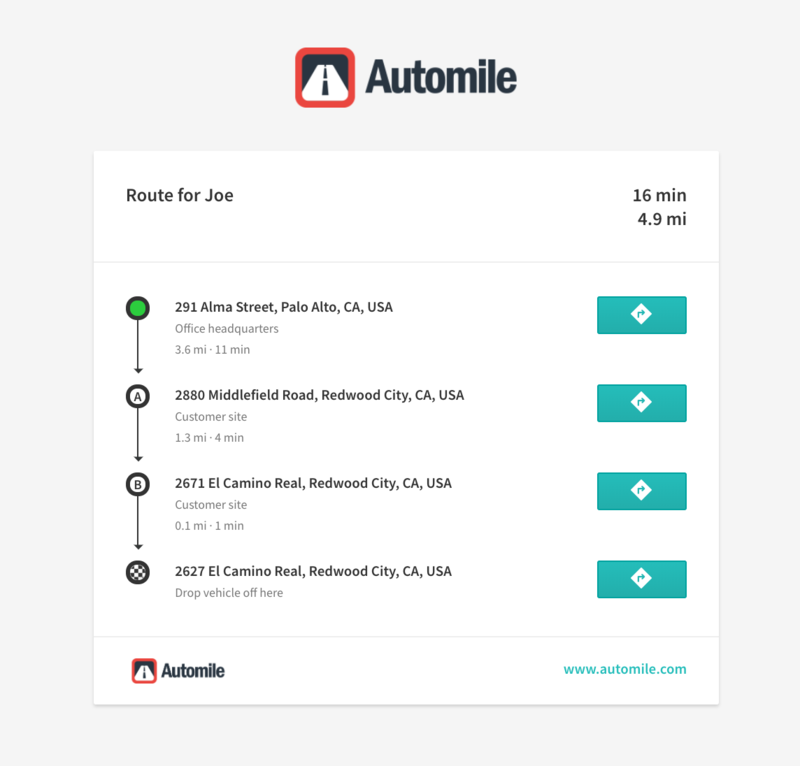 Automile will automatically find the best route based on the shortest time or distance as well as other options you select such as avoid toll roads, highways etc. Share it with the technician/driver or anyone on your team via email or SMS. You can even take the web link and send it yourself. That’s it. The Route is shared with your technician to drive efficiency and productivity for your business.